Home / Ag Newswire / Are You #WIAGPROUD? The Wisconsin Farm Bureau Federation is encouraging all farmers and agriculturists to share what they do and why they do it on National Ag Day, March 25. They also encourage sharing what makes you proud of Wisconsin agriculture by using #WIAgProud via social media. 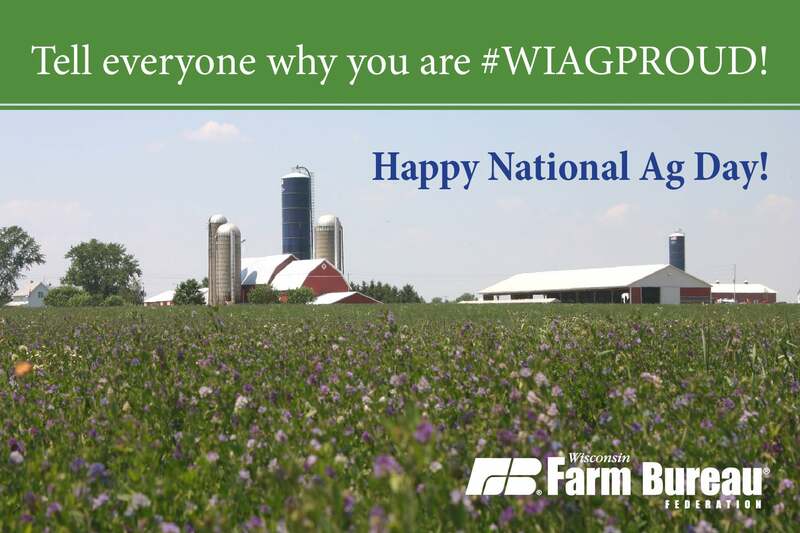 The hashtag that social media users should use is #WIAgProud. By tagging your Facebook posts and tweets on Twitter with the hashtag the Farm Bureau will be able to find and repost them. You can join the Facebook event for more information and details at www.facebook.com/WIFarmBureau/events. Get your printable sign here!